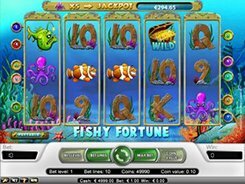 Fishy Fortune is a NetEnt-powered video slot with a local progressive jackpot, the amount of which entirely depends on the casino where you are playing the slot. 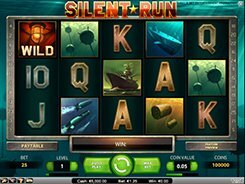 This sea-themed slot features 5 reels and 10 bet lines. A coin comes with a fixed value of $0.1, and you can play just one single coin per bet line, so your bet can be as low as $0.1 and as high as $1 per spin. 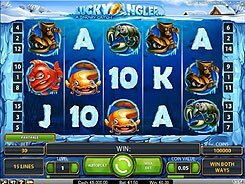 On the reels you will come across seahorses, various fish and treasure chests; these are complemented by traditional poker cards from 9 to King. 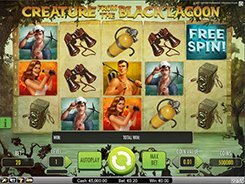 The slot features a wild symbol depicted by the Treasure Chest that substitutes for all regular symbols to create a winning combo and doubles payouts when substituting. Hitting five wilds across a bet line pays out the highest fixed jackpot worth $1000. The Pearl in Shell is a scatter, with 3+ unlocking 10, 20 or 30 free spins. Rolling up five Jackpot Octopus symbols across any active payline pays out a progressive jackpot or 300 coins, whichever is bigger. PLAY FOR REAL MONEY!